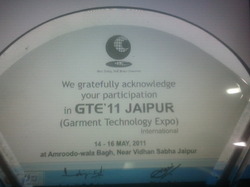 We participated in Garment Technology Expo 2011 (International) held fron January 14-16th May in 2011 held at Amroodo Wala Bagh, Near Vidya Sabha, Jaipur. 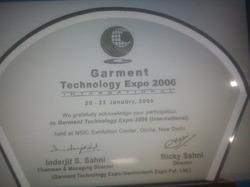 We participated in Garment Technology Expo 2006 (International) held fron January 20-23rd January in 2006 held at NSIC Exhibition Center, Okhla, New Delhi. 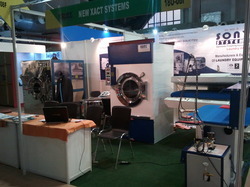 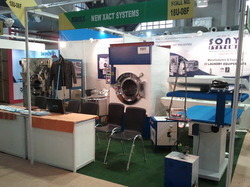 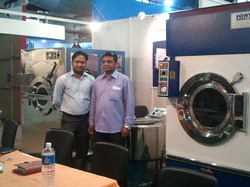 We recently participated in AAHAR 2012 held in Pragthi Maiden, New Delhi from 12th to 16th March, 2012.